We’re just getting to the end of the second season of Marvel’s ‘Agents of SHIELD’ and it looks like they’re already looking to expand. According to Entertainment Weekly, ABC confirms that they’re currently working with executive producer Jeffrey Bell and show writer Paul Zbyszewski. What the focus of the show will be on remains to be seen. There is some peculation that the spinoff could be out as soon as fall of 2015, but that’s if everything goes smooth. With the success of the Marvel Cinematic Universe, and the anticipation of the Defenders series (Daredevil, Jessica Jones, Luke Cage) on Netflix, another network television show could be good for Marvel. ‘SHIELD’ as introduced a lot of new characters in season two, so there area lot of possibilities for them to go on. They seem to be establishing Mockingbird and Mac, so maybe we could see a spinoff featuring them and the other SHIELD agency to boost some publicity for 2017’s “Captain America: Civil War”, something that they seem to really be prepping us for in the TV universe. Maybe we’ll see something based more in the Inhuman world? 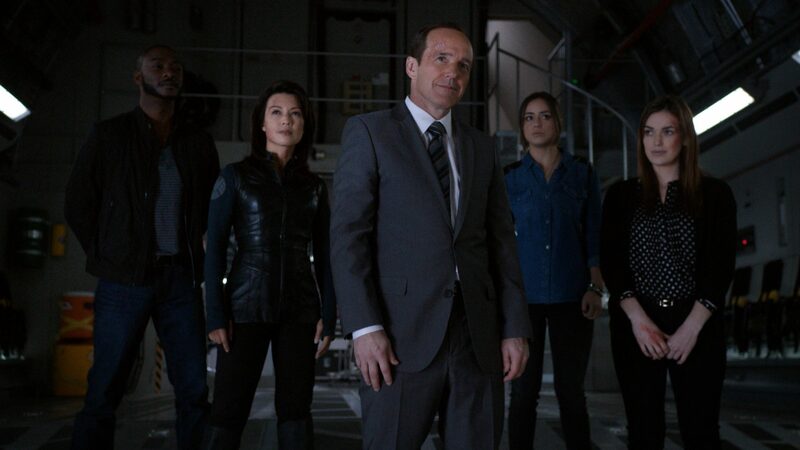 Posted on April 9, 2015, in Entertainment, Television and tagged ABC, agents of shield. Bookmark the permalink. Leave a comment.